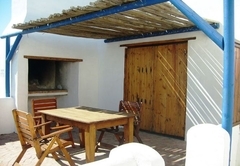 Komyntjie is a property providing self catering in Paternoster for tourists visiting the Cape West Coast region. 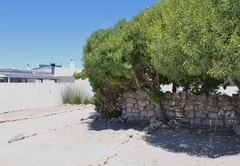 The Komyntjie units are located in the charming fishing village of Paternoster. 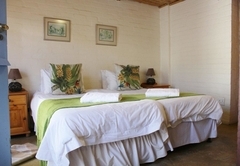 With exceptional sea views and only metres from the beach these self catering units are an ideal place for a getaway. 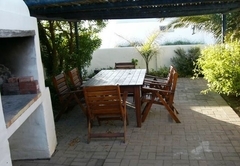 Outside there is a sheltered patio with braai facilities and a shared swimming pool. Surrounded by natural beauty, fantastic restaurants and other activities these units have everything essential for the perfect holiday. 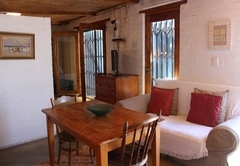 This well decorated two bedroom, one bathroom apartment comfortably accommodates four people. The fully equipped kitchen makes meal preparation easy. 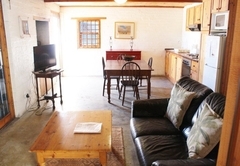 The unit has an indoor fireplace as well as DStv for those winter evenings. 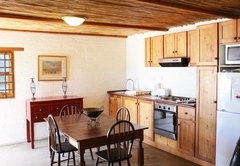 With wooden furnishings, a fully equipped kitchen and DStv, Komyntjie 2 is perfect for a romantic holiday. 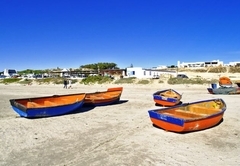 It’s within walking distance from the beach and close to the best restaurants Paternoster has to offer. You don’t need to leave your bed to experience the beautiful sea views Paternoster has to offer; in this unit you can sit in bed, look out the window and see the ocean. 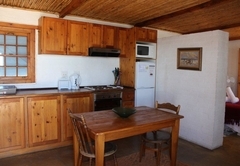 It is a one bedroom, one bathroom unit, is well furnished and within walking distance of the beach. 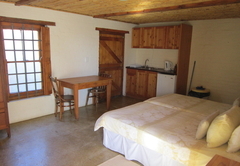 This quaint unit with its white washed walls and wooden features provides a rustic home stay. Wake up with the sound of weaves breaking lazily on the beach. 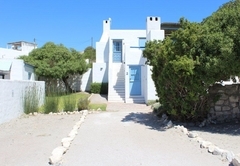 This lovely little romantic hideaway for 2 is situated within walking distance from the beach. 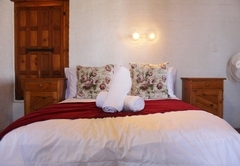 This romantic little cottage has a beautifull sea view from your bed. It has a lovely little patio for those lazy days where you can sit and relax. The cottage was nice and clean, very close to beach. Only thing was that we didn't get any information where to pick up the key, but that sorted out after a phone call. 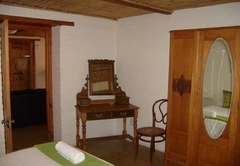 When booking it would be nice to know that we should get the key from "Paternoster Rentals" that would have saved us some time. Otherwise I'm very happy, good price and nice accomodation! Response timeKomyntjie typically responds to requests in 5-10 minutes.